Visit the crown jewels of Montana and Wyoming on this one-of-a-kind wildlife tour. Come fly away with Van Galder Tour & Travel to witness Mother Natures breathtaking beauty. Youll experience one-of-a-kind wildlife tours, true 5-star experiences, with the best and most experienced local guides in Wyoming! GRAND TETON VILLAGE: Arrive at Teton Mountain Lodge & Spa, your home for three fantastic nights. Nestled slope-side in Jackson Hole, just one mile from Grand Teton National Park, this hotel has been named one of the top 100 hotels in the continental U.S. and Canada by Travel Leisure Magazine! Explore the area and meet for a group dinner. NATIONAL PARKS TRIANGLE X FLOAT TRIP: Float casually down the winding Snake River as the beautiful, unchanged landscape of Grand Teton National Park unfolds before your eyes. A trained guide shares stories of the river, mountains, and wildlife as nature's glory slowly passes by. Triangle X has been featured in National Geographic Magazine for its tradition of excellence. JACKSON HOLE MOUNTAIN AERIAL TRAM: Soar up 4,139-feet in 12 minutes to Mount Rendezvous with awesome views of the Grand Tetons, Jackson Hole, and the Snake River. Be amazed at this stunning 360-degree panorama! 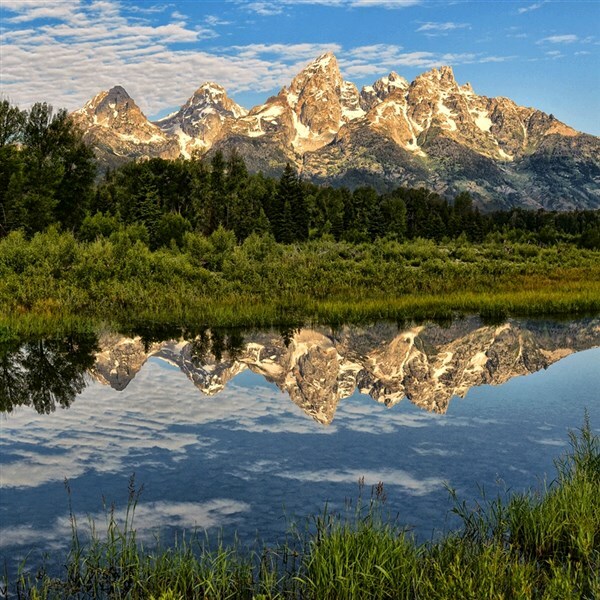 GRAND TETON NATIONAL PARK SAFARI TOUR AT DUSK: Buckle into your safari-style vehicle with a naturalist guide from Brushbuck Guide Services as you trek to wildlife-viewing hotspots within the park's 310,000 acres. 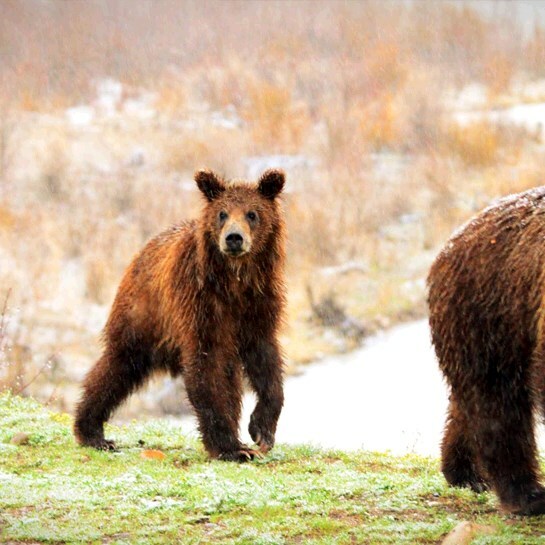 Sightings may include grizzly and black bears, eagles, elk, bison, mule deer, wolves, and moose. Scopes and binoculars are available and cameras are encouraged! Some of the touring in the park will be off road. 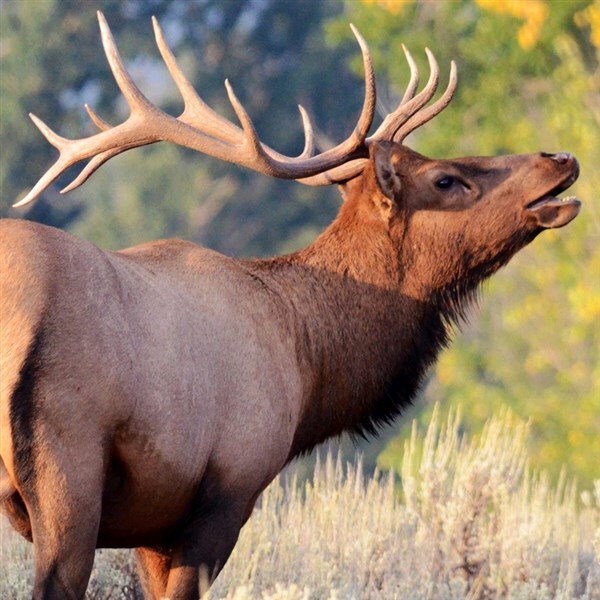 GRAND TETON & YELLOWSTONE NATIONAL PARKS WILDLIFE ADVENTURES: Again join Brushbuck for an early morning departure for wildlife sightings in both parks. These guides know how to find the absolute best viewing areas for wildlife observation, offering amazing, one-of-a kind tour experiences. YELLOWSTONE NATIONAL PARK: Welcome to the world's largest and the nation's first National Park-more than two million acres of steaming geysers, thundering waterfalls, and panoramic wonders. See the beautiful Upper and Lower Falls of Yellowstone and then travel toward the Upper Loop for more wildlife viewing. Overnight in Cooke City, MT. OLD FAITHFUL: Today's Yellowstone adventure focuses on the Lamar Valley, known as the best wildlife viewing in North America. Visit the famous geyser basins and Mammoth Hot Springs. 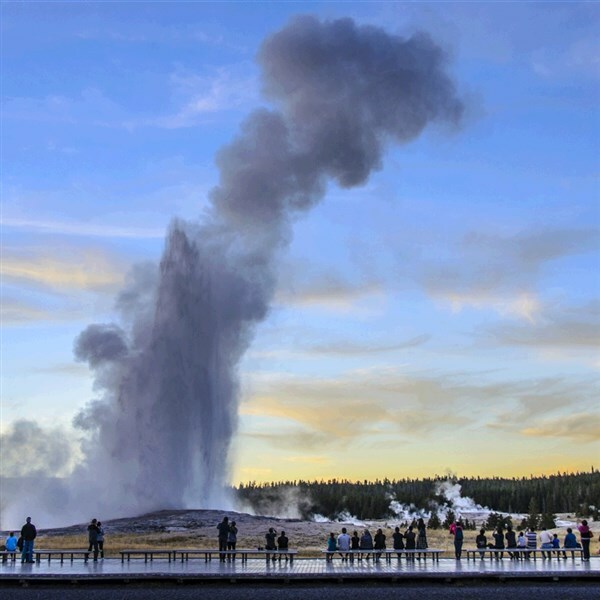 Witness Old Faithful sending thousands of gallons of steaming water into the sky with each eruption before returning to the Teton Mountain Lodge. Share stories of our tour adventures in Wyoming during a delicious farewell dinner. Reflect back on your most impressive sights and memories as the flight returns to the Midwest. DEPOSIT: $100 per person at time of reservation; final payment due May 13, 2019. Once payments have been received, stringent cancellation penalties apply. ACCOMMODATIONS: Teton Mountain Lodge & Spa, Teton Village, WY (3 nights); Alpine Motel, Cooke City, MT (1 night). TOUR INCLUSIONS: Professional tour director, roundtrip motorcoach transportation/airport/hotel/airport, roundtrip air, accommodations, luggage handling at hotel, admissions, and 8 meals, including 4 breakfasts, 1 lunch, and 3 dinners. TRAVEL INSURANCE: Optional, but highly recommended. ADDITIONAL FEES: Airline luggage fees and fuel surcharges (if applicable) are additional and vary by airline.